There are so many reasons for using a deep conditioner regularly. For starters, it keeps your hair in check for things we have no control over like wind, pollutants, and the sun. It also protects our tresses from ourselves! Sometimes we are our hair’s worst enemy with all the manipulation, coloring, heat styling and hair accessories. Deep conditioners are great for preventive measures too, so don’t wait until you see damage to want to use it. A good deep conditioner is worth its weight in gold so don’t skip it in your weekly wash routine. With added heat, they bring life back to your hair and add bounce and body. 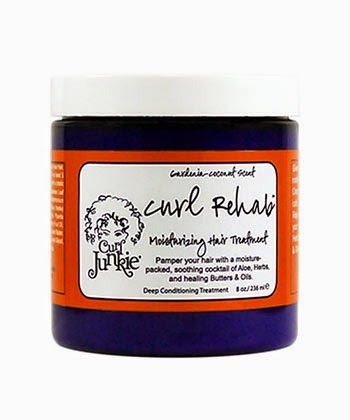 Wildly popular, Curl Junkie’s hair treatment rains down a rich cocktail of aloe, herbs and healing butters that revitalize, restore and reclaim your hair’s moisture. Made to work better and harder with heat, this conditioning treatment uses cocoa butter and Shea butter to give maximum moisture to your tired, dry strands. Infused with horsetail and peppermint this treatment is great for all hair types. Banana extracts help to soften your hair while the oils penetrate the hair shaft softening, smoothing and protecting. Hibiscus is known for having amazing moisturizing benefits that revitalize your strands in this ultra-thick yummy scented conditioner. Raw honey and coconut milk nourish and treat your strands to improve your strand’s texture. Intense and free of parabens, silicones and sulfates, this mask will revitalize dry, brittle, chemically processed strands with ease. Dry, brittle hair be gone! This all-natural hair masque penetrates the hair shaft with an uber intensive moisturizing blend of coconut oil and Shea butter. You end up with softer, stronger, revitalized tresses. This penetrating hair treatment just came out this year, but the buzz has been great! It has coconut water, aloe Vera juice and tropical butters to super hydrate your thirsty strands while deeply penetrating and adding luster, shine and some serious moisture. 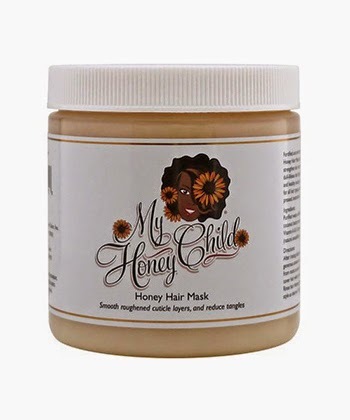 2014 Editor’s choice winner for Naturallycurly and a favorite by many, this curl recovery mask will envelope your hair shaft to nourish and protect! Fatty acids that are crucial to rebuilding your strands are coupled with actives that recreates your hair’s depleted lipid barrier and prevents future damage. This self-heating, melt-down mask baby’s your hair with a warming sensation that leaves you spent. A conditioner rich in Vitamin B by the Blue Green Algae, you get improved hair cell regrowth that promotes thicker, stronger tresses. Softer, moisturized hair that shines and feels amazing is what you’ll end up with after using this super popular conditioner. 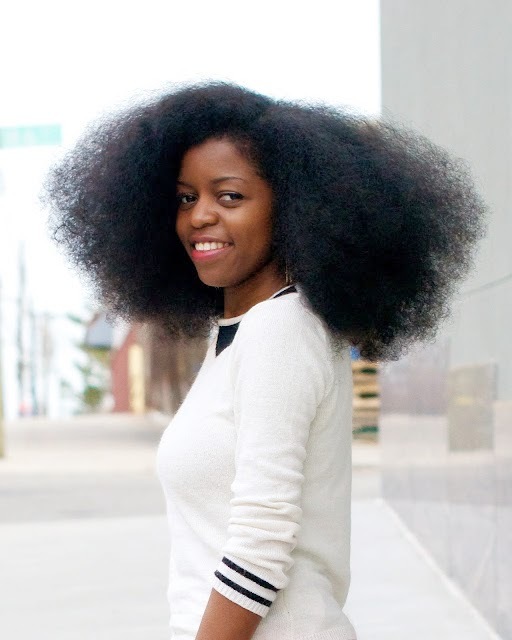 A 2013 Best of the Best on Naturallycurly for a reason! I love this all-natural intensive treatment masque that moisturizes, restores and conditions your tresses like no other. Sea Kelp, argan oil, and Shea Butter all help with sealing moisture in the hair cuticle, restoring shine and promoting hair elasticity. My hair thanks me for this reward every week by looking gorgeous! Cruelty free, parabens free, silicone and sulfate free, yet powerful enough to bring an intensive moisture treatment to your curls, coils and kinks from all botanically infused ingredients. Capuacu butter is a creamy emollient that promotes smoother, softer strands and is great for your dry, damaged tresses. This deep conditioner gives protection against UV-A and UV-B while restoring shine, moisture and elasticity to your stressed out hair. Giving your hair back its beauty from the over processing and dryness, this deep conditioner is made to balance your hair’s moisture level. Fortified with coconut, jojoba and monoi to give your tresses strength, softness and sexiness! A parabens, protein, cruelty free deep conditioner that softens, detangles and moisturizes. Watch your hair transform from style-stubborn to easy, breezy, lovely tresses. Sugar cane, coconut, green tea, apple, lemon, Shea butter and vitamin E are all packed into this massively potent conditioner that takes your hair’s moisture to the next level. It will smooth and align your cuticle layer while repairing weak areas and promoting shine. An all-in-one conditioner. This conditioner, daily conditioner and deep conditioner is ultra-cream and gives maximum hydration to all hair and curl types. If stats is your thing, then this is the treatment for you! You see 64% improvement in dry hair with only one application. This powerful treatment dramatically revives damaged strands. Dull, dry, frizzy hair is diminished and all you have is velvety, soft, manageable tresses softer than before. Deep penetrating and perfect for the dry, damaged strands, your hair is infused with a surge of moisture that seeps in to the inner structure. Wheat proteins and plant polysaccharides help to repair damaged tresses from chemical treatments and over-processing. 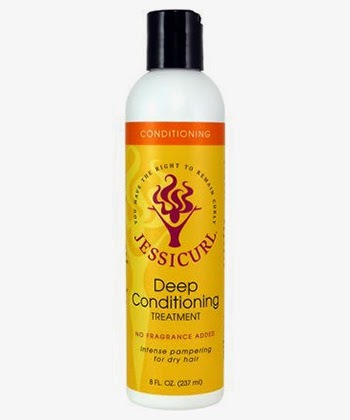 Working hard for the over-processed and chemically rundown tresses, this salon-approved deep treatment conditioner will restore your hair to its softer, more touchable self. Intensive deep conditioning treatment with Australian Aloe that penetrates your dry, damaged strands in just one use. You are left with super shine and maximum moisture right before your eyes! All about damage control or rather damage repair, this penetrating Reconstructor gets your shiny, strong hair back with noticeable health and improved strength. Looks and feels better before you know it. I put my personal favorites up top (with pics) for clarity. I can vouch for those. I also like the Aussie 3 Minute Moisture Miracle, I'm just not too keen on the ingredients. The Ouidad DC is pretty good, but the price... not here for it. I also like using coconut oil + either Trader Joe's Nourish Spa, Aussie Moist, or Aubrey Organics Honey Suckle Rose (or GPB) as a DT. Any of these three cost effective options, provide slip for detangling, and moisturized, healthier hair. If you incorporate a deep conditioner at every wash session, you'll achieve the healthiest hair of yo' life. What's your holy grail DT?